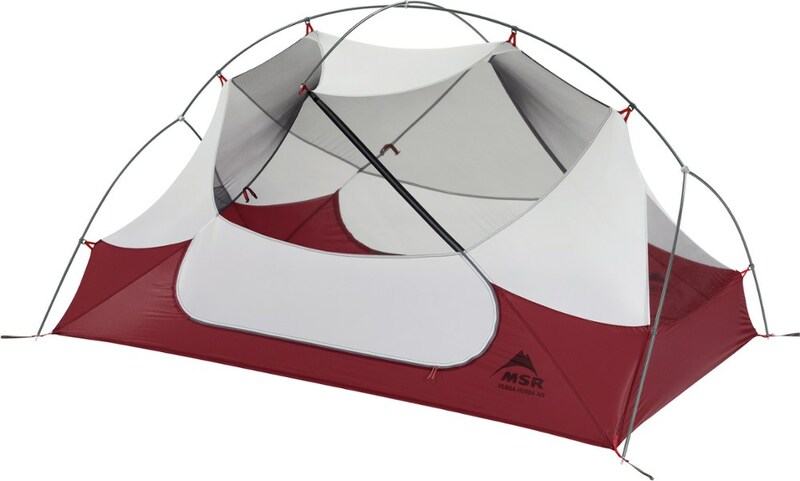 This is a well made, roomy 1-person tent. If you are a bigger person or claustrophobic then this is the tent for you. The tent is free standing with aluminum poles, no see-um type mesh walls with a tub style base. The fly is pretty substantial and should easily shed rain and snow. It has a small window that you can look out of. The front "vestibule" can be rolled back for extra ventilation. It buckles onto the tent and also the footprint where the poles and stakes lock down. The vestibule is roomy enough to store your pack and boots. The tent is high enough that you could sit upright within it, unless you're freakishly tall. The inside has several pockets and an overhead mesh basket to keep personal items near you. As for packability, the included bag with everything is about 20 inches long and 7 inches in circumference, it weighs close to 5 lbs with the footprint included. Alps used quality materials for this tent, however this isn't an ultra light tent, but it's durable and should stand up to years of use. I would suggest getting the footprint as it buckles into the whole system and really doesn't add much weight. Welcome to Trailspace, Eric! Thanks for sharing a helpful review of your Alps tent. If you have any pictures of it those would be great for others to see in your review. Great tent at an excellent price. I had been using a cheap dome tent for a few years as a one man tent on scout outings. When it became apparent I would be going on a full week backpacking trip in the Blue Ridge Mountains, I decided it was time to upgrade to a high quality tent. I decided I wanted a tent that would stand on its own without stakes. Since I will probably not be using it frequently, price was a major consideration. I chose the Alps Zephyr 1.0 based on price. I found it on ebay, with a footprint, for under $100. I found it was a terrific upgrade from my old tent. The tent came with a patch kit, stake, footprint, pole and tent bags. I left the footprint and pole bags along with the patch kit at home primarily to keep from losing them, since their combined weight was negligible. I first set the tent up in the basement and found it easy to set up. This was equally true in the field, where the camp sites always seemed to be very rocky and on the sides of hills. I found the tent easy to set up. I could set it up in under 10 minutes after some practice. The hardest part was threading the poles through the sleeves. The pole ends fit through grommets on the tent floor and footprint. I found at least 1 pole end came out of a pole every time I took the poles out of the grommets. It then took a couple of minutes to get the ends back into the poles because the knots in the shock chords need to be carefully threaded back into the poles. On the trip, we had one full night of rain. Fortunately, we made camp before the rain started and did not strike camp until after it had stopped, so I never had to try setting it up or taking it down in the rain. We also had several evening showers. The tent stayed dry during the storm, except for one point where the rein fly was not pulled away from the tent sufficiently. This was a combination of not checking the tent carefully after it was set up and very rocky terrain that prevented staking the rainfly where it should have been. It was bone dry the rest of the time. This was really great because the old dome tent always took on water in a storm. Since the ground was wet all the time, the footprint was always wet and the rainfly was frequently wet. I found, if I was careful, I could fold the footprint over the tent and put the wet side of the rainfly against the wet side of the floor, keeping the dry parts all together. Then the whole thing could be rolled around the poles and stakes and easily fit into the tent bag. Then the whole thing could be slipped out of the bag and unrolled without ever having water near the inside of the tent. There was sufficient room for me in the tent with the equipment I normally keep with me. There wasn't enough room under the vestibule for my backpack, although I think I could have squeezed the backpack in if I had really tried to. Awesome, lightweight tent at an unbeatable price! Awesome, lightweight tent at an unbeatable price! Perfect for entry-level users. While I haven't really used this tent in cold weather, it's almost completely mesh, so better have a good sleeping bag! The included bag is kinda big. Orange rain fly isn't the best for stealth camping. This is a generously sized single-person tent, I would say a couple wouldn't be uncomfortable in here at all. I've seen a drop or two of water inside the tent after rain. Hopefully this doesn't get worse over time. I'd definitely recommend it, give her a go? This is a great little one-person tent. I have had this tent for a while and have only used it a couple handfuls of times when flying solo. This is my backup tent or the tent that gets loaned out when someone doesn't have a need to fit two. I picked it up for really cheap on a discount site because I couldn't stand not buying it. I am 5'8" medium frame and it can fit me, my sleeping bag/pad, and a 60 liter pack with little room to spare. It's a cozy tent by all standards. It sets up in 2 minutes flat and is impossible to get wrong. It packs up in 5 minutes and isn't hard to get back in the bag the way it came out. So, it is a great trail tent for weekending and festival camping. Anything longer than a few days would get claustrophobic in my opinion. I've used this along the coast and in the valley of Texas and it held up fine to the gulf winds and the moderate showers in south Texas. I got a little water in the valley when the wind picked up during a soaking shower, but it was blown in under the rain fly, so I don't think the tent can be faulted. Using along the coast with all the mesh made for a gritty 2 lbs of sand in the bed which was a lack of planning and insight on my part. I use this in the summer and haven't had any issues with condensation even in our dense humidity. This is a great tent, inexpensive and sturdy. It can be had for about $60 US if you shop around or catch a flash sale. It's a no-brainer setup and is very well built with no fault points I can find. There are lighter tents out there flying solo, but not at this price point. If you find it on sale get it. Footprint can be had for $18 almost anywhere so there is no large investment for what you get. I have only had this tent up once. I have another tent also. The Zephyr 1 is a great deal. I am 5'11" and there is plenty of room to stretch out with some space left over at head or feet for extra gear. The vestibule is on the small side but has enough room for your boots and maybe a pack. I like the design using a wedge shape. It gives you one tall end which makes it easier to enter and exit the tent, and it is plenty tall enough for me to change my clothes especially shirts without getting outside the tent. If you have a backrest type seat you should be content to read, eat, or whatever during adverse weather without feeling too cramped. It's fairly lightweight, with a small pack size, seems pretty durable and would be nice without the rain fly during the early evening so you can stargaze. I liked the shape of it right off. It is not my favorite tent but for solo packing it will be more than adequate and the cost is considerably inexpensive. I paid $70 online a couple of years ago. I consider that to be a smoking deal. When it came time for me to buy a new backpacking tent, I decided to be methodical and make a list of all the features I thought were important and then find the tent that fit those requirements. I looked online for about a month and was ready to give up. I even thought about using some contacts I had in China to make the perfect tent for me, then I found the ALPS Mountaineering Zephyr 1.0. I'll discuss the features I desired in a tent, as my idea of the perfect tent may be very different from yours, and how the Zephyr matches up. First, Weight. I wanted a tent that was under 4lbs: According to my scale, the total packed weight is 3lbs 12oz. It comes with very lightweight Al stakes. Another feature I was looking for was a full coverage rainfly. 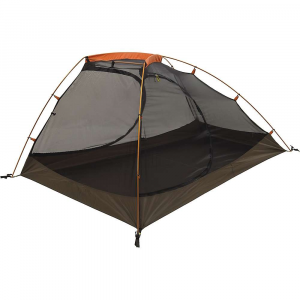 The Zephyr's includes a unique vent, which may be overkill on a mesh-body tent. Additional plus, it's a polyester fly, so it won't sag when wet. I've seen tents at 4x the price with nylon flies that must be readjusted during rainstorms. Interior length: The tent is listed as 86" long, I measured it at 83", and the height is pretty short at the far end. If you are over 6'4", it will be a tight fit. The vestibule space is important to me as I want to be able to stash my pack and boots out of the weather. I think I can fit a pack and boots in there, but not easily and it will make getting in and out complicated. A slightly larger vestibule would be appreciated. Other features: I wanted a freestanding tent so that it could be used in a variety of terrain, this tent is freestanding and seems very stable. Another nitpicky requirement is that the tent should blend into the surroundings. The Zephyr is mostly a pale green with rusty orange accents, so it does pretty well on this point. The final item on my wish list was a window on the vestibule. 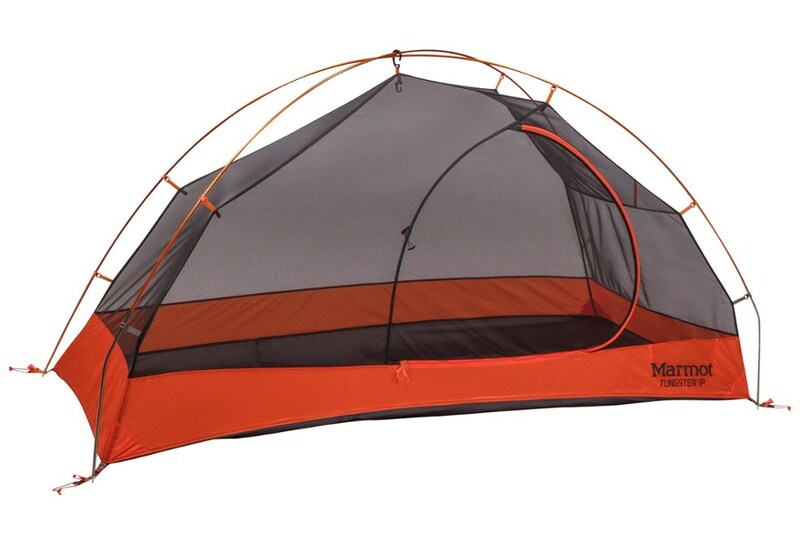 I was prepared to compromise on this and I was pleasantly surprised to find that this tent has a small window on the upper part of the door, a feature that is not listed on the manufacturer's website. One possible drawback is that I do not think that this tent can be set up in a fast pack configuration with just the fly and footprint. This doesn't bother me but might be a factor for some. In summary, this tent met or exceeded every single one of my hopes. And you can find it online for just a little over $100! 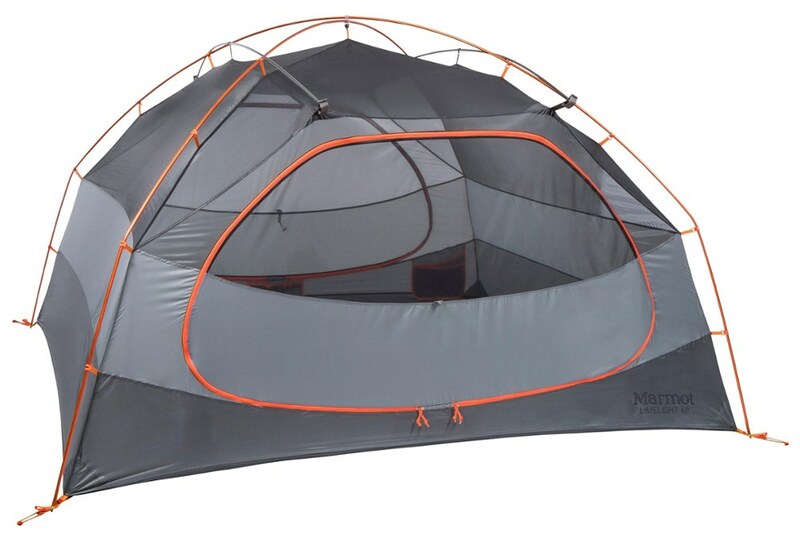 Everything I see about this tent appears to show solid construction and well-thought-out design. I could not be happier with this purchase. Bought this tent on Amazon, of all places. For the price and quality, it cannot be beat. Workmanship is excellent, all seams are well sewn and taped where necessary. It's not ultralight, there are lighter tent with similar specs, but could easily cost twice as much. Lots of headroom at the right location, right above the entrance. And it comes with the gear loft. Many other brands make you buy it separately. Again, in terms of value for money, nothing tops this. Vestibule is a little small, but since I'm only 5'7", i have room for gear at the other end of the tent. I have not had the chance to use it out in the field yet, but I have camped outdoors often enough to know a good tent when I see one. Still, it remains to be seen if it will hold up well to the harsh weather of the tropical region I'm in. So why only 3 stars? Being a non US customer, I could not find any online retailers selling the floor saver that accepts a non US credit card. 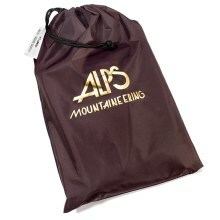 So I emailed Alps Mountaineering asking them to help. I mentioned that I had already bought the tent, and was looking for the floor saver. Their reply? "I'm sorry, but we also cannot." That's it. No explanation, no nothing. Yep, excellent customer service from these guys. So I emailed again, asking if they know any retailers who would accept non US credit cards. Their reply: They have not control over their retailers, and they do not accept non US credit cards because of international scammers. Right, I would scam you for a $20 floor saver. At this point I could see that there is no point in contacting them further. So, overall great tent, but poor customer service. A product is only as good as the company behind it. I'm praying I will never need to engage them for any warranty issues. If you are a US citizen, good for you. If not, you might want to consider how important product support and customer service is to you.